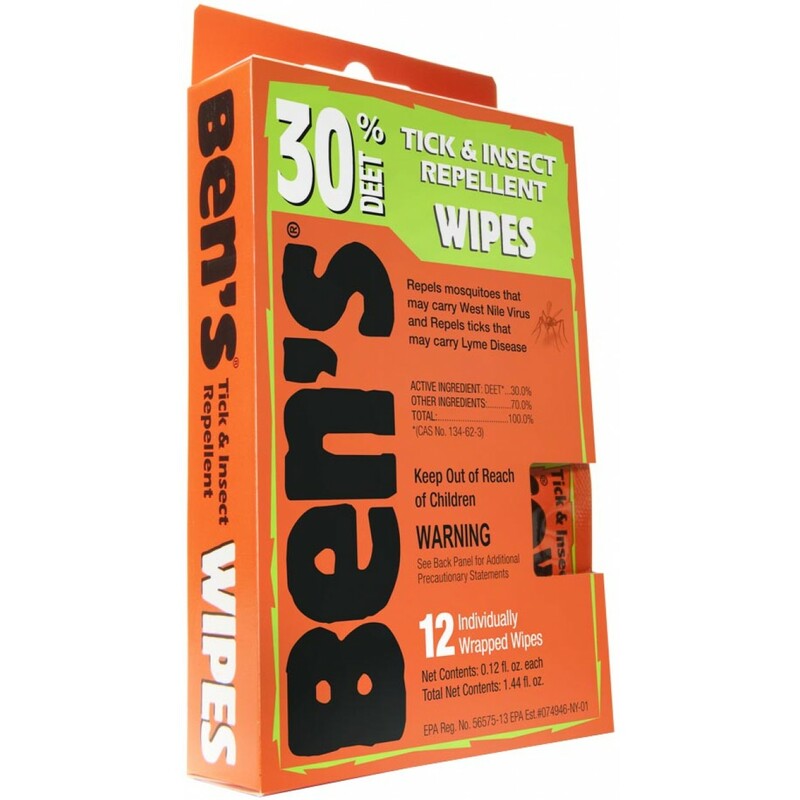 Ben's® 30 Tick & Insect Repellent offers protection from ticks and insects that may carry the Zika Virus, West Nile Virus (WNV), Lyme disease, Malaria, Eastern Equine Encephalitis (EEE), and other infectious diseases. Providing up to 8 hours of effective protection, Ben's® 30's unique 30% DEET, water based formula is made to evaporate slowly - so repellent stays on longer with little absorption into the skin. Individually wrapped wipes let you control the amount and location of repellent to apply. Individually wrapped wipes let you control the amount and location of repellent to apply.